I'm so happy that it is Friday again! This has been a crazy week! 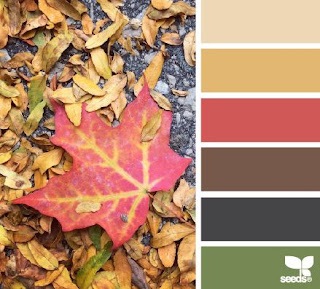 Actually, it's going to be a crazy autumn, because I am travelling every 2 weeks, visiting kids and grandkids, short vacations with friends, crops and other things. I am also taking up the reins of the Drama Ministry at our church so that means writing, directing, and organizing skits and plays for many different occasions at church. This is all wonderful and I'm not complaining, let me just say, but it means that my business is compressed into intense intervals when I'm home! 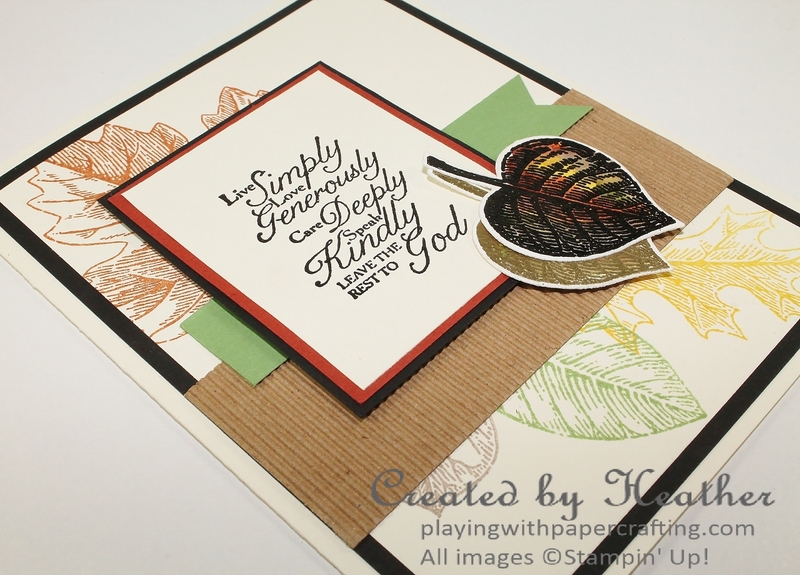 For today's project, I wanted to go for a fall theme so I got out my Vintage Leaves stamp set and I wanted to use the sentiment you see in this card from the Trust God stamp set as a reminder to keep it simple when I can! There are so many good reminders in this sentiment! Great sketch by Amanda! 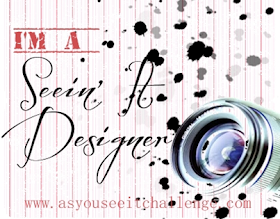 Get on over to As You See It Challenges this week and check out the other Design Team samples. 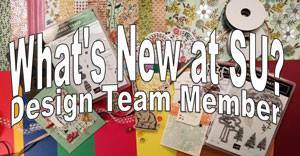 We've added 4 new DT members and you're going to love their work! I started by stamping the images from Vintage Leaves in the colours from that colour swatch: Cajun Craze, Crushed Curry, Wild Wasabi, and Tip Top Taupe on some Very Vanilla cardstock. I layered that on Basic Black cardstock and added it to a Very Vanilla card base. I added a band of Kraft Corrugated Paper and a flag of Wild Wasabi, punched using the Banner Triple Punch. 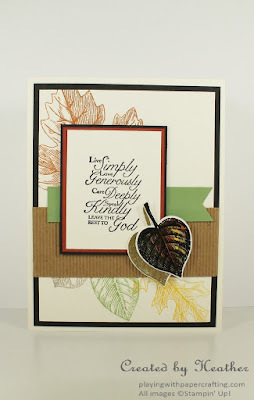 The sentiment is from the Trust God stamp set and it is embossed with Black Stampin' Emboss Powder. 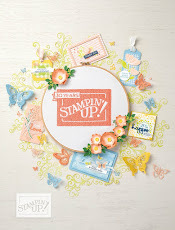 I layered the sentiment panel with narrow borders of Cajun Craze and Basic Black before popping it up on Stampin' Dimensionals and adding it to the card front. Finally I embossed some leaf images on Watercolor Paper using Black and Gold Embossing Powder and watercoloured the images using an Aqua Painter and the colours previously mentioned. The leaves were die cut using the Leaflet Framelits and added to the front! 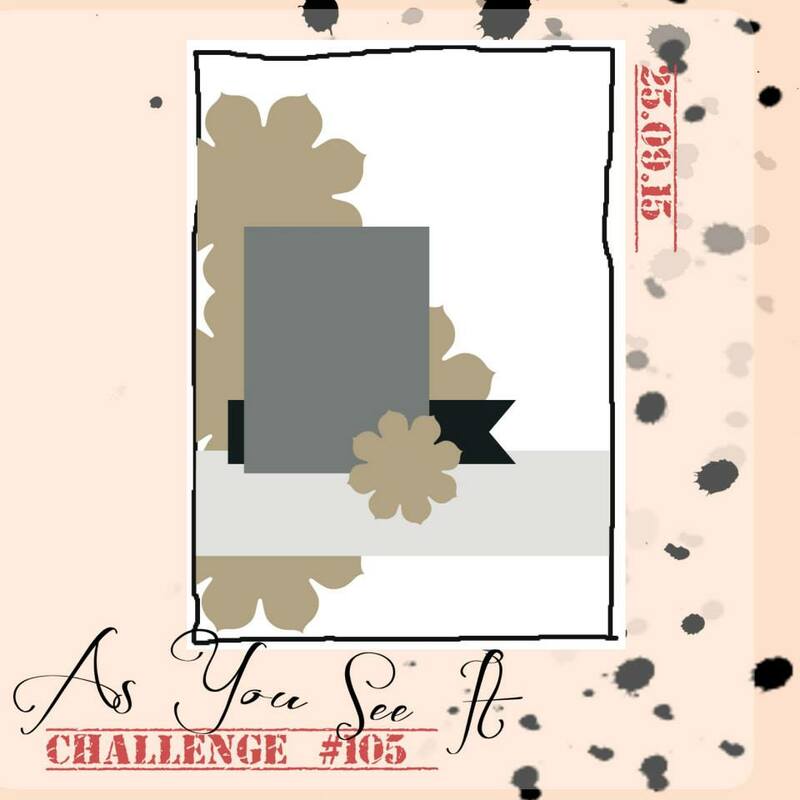 I hope you'll give this challenge a try this weekend and have some fun with it. 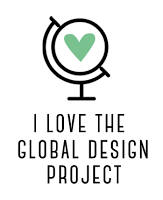 I'm going to a Crop for the Cure on Sunday, so I will hopefully have gobs of samples and projects to share with you next week! 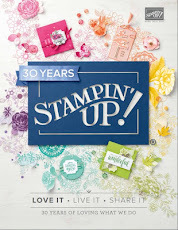 And speaking of Crop for the Cure, don't forget that Stampin' Up! 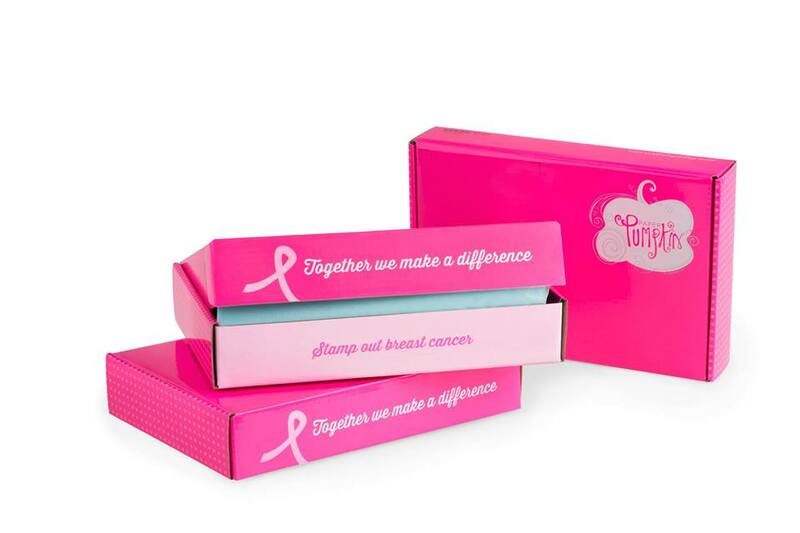 is contributing to the fight to Stamp Out Breast Cancer with Paper Pumpkin. It is contributing a dollar for every current subscriber and an extra dollar for every new subscriber who signs up by Oct. 10, 2015! 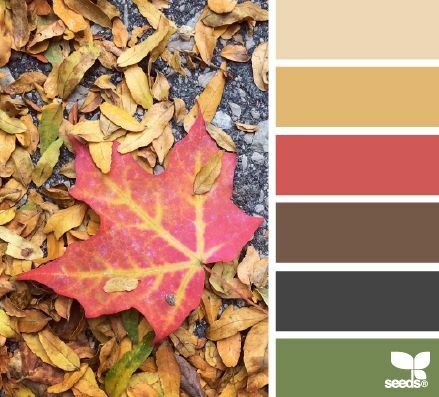 Pop on over to Paper Pumpkin to get yourself a Creative Escape in a Box once a month, a great deal at only $24.95 which includes shipping, worth every penny and you can help Stampin' Up! stamp out Breast Cancer!